Want to know how to clean a shower curtain in the washing machine? It’s simple just pop it in the drum with a few bath towels and wash on a cool temperature with normal laundry detergent. Any cloth and canvas bags can be washed if you place them in a mesh laundry bag and choose a warm cycle. Don’t forget to empty all the pockets before you start, and if the bag is decorated with jewels or iron-on appliques you’ll need to opt for a hand wash instead. Most pillows are machine washable and you’ll be able to load two at a time. It’s a good idea to wash in a hot cycle with a cup of detergent and a cup of bleach. Extra fluffy pillows may need an extra rinse, and then dry until the pillows are free of all moisture. Use individual laundry bags to wash knee and elbow pads, gloves, shin guards, and shoulder pads on a warm cycle with a small amount of detergent, and then hang them out to dry. Take off any loose clothing and then spin in the washing machine for a fresh looking stuffed animal! Mesh bags are the ideal solution for keeping toys safe whilst running through the gentle cycle programme. The machine isn’t suitable for toys stuffed with beads. You can simply add them to a regular load of towels and hang them out to dry, and they’ll look good and smell fresh in no time at all. If the label doesn’t specify dry clean only it’s safe to assume your curtains can go in the washing machine! Choose a cool wash with a slow spin cycle, and a low heat to dry. Twice a week should be plenty to take care of your pet bedding. Vacuum off any loose hair to begin with, and then put the bed and bedding into the drum with a natural detergent. Wash on hot with an extra rinse cycle to kill all bugs! Synthetic or cotton rugs with rubber backs can be washed about once a month to keep them fresh. You may want to balance the load with a few towels. Wash on cold, and then hang to dry. Remember if you over wash there may be a tendency for the rubber backing to peel. Sweat stains can all be quickly removed by washing your baseball cap in a cool wash. You may like to invest in a hat form to stop the cap from losing its shape, then hang out to dry. Suitable to be washed in a large capacity machine with a regular wash cycle and small amount of detergent mixed with white vinegar. The best drying option is out on the line. Can you put shoes in the washing machine? Indeed you can! Remove the laces and wash them separately in cold water. Add a towel or jeans to balance the load and lessen the noise, then let them air dry so they don’t shrink. And What If My washing Machine Breaks Down? 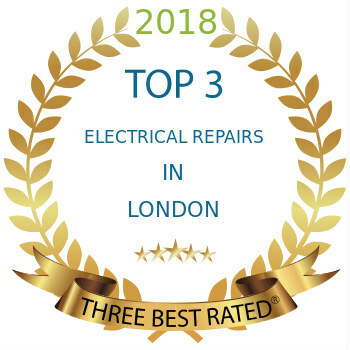 You’ll need to find a trusted washing machine repair North London company who’ll come out to see you really quickly without charging you a penny! You’ll be able to get a quote and arrange a same day service just by giving them a call. Make sure the repair has a six month guarantee, and even a return visit included in the price. Read the reviews to be sure you’re hiring technician trained to the highest standard able to provide you with a high quality repair service.